Bahama Sunset is een prachtig eiland huis op ruige kliffen met uitzicht op de rustige Caribische Oceaan! Gasten van het Bahama Sunset hebben vanuit elk raam uitzicht op het kristalheldere, blauwgroene water en elke nacht kunnen prachtige zonsondergangen vanuit de veranda over de kliffen de oceaan in glijden. Je vindt uitstekend snorkelen en duiken op een minuut lopen over de stenen treden die je naar je eigen privélagune brengen. Het onderwaterleven in onze 'lagune' omvat kleurrijke papegaaivis, ballonvis, murene, tandbaars, kreeft, krab, naaldvis, rode fans, zeeslakken, vele soorten koraal en allerlei andere prachtige zeeleven. Eleuthera is een rustig, landelijk eiland en het nabijgelegen dorp, Gregory Town, is een slaperig havenstadje vol vriendelijke Bahamiaanse inboorlingen. Het nachtleven van Bahama Sunset bestaat uit een orkest van krekels en de dans van de oceaan in de lagune. If you enjoy water, this is for you. Based on previous reviews, we knew to bring supplies such as toilet paper, paper towels, food items, seasonings, etc. The kitchen is well supplied with utensils to be able to cook your own meals. It was perfect for my wife/myself. I wouldn’t suggest it if you have small children because they’ll be too tempted by the water and the stairs are indeed steep and not made for little ones. But even the pictures can’t prepare you for how amazing the views are. When it’s calm outside, it’s extremely hard to want to do anything but stare into the water and watch all the creatures. We saw stingrays, jellyfish, lobsters, barracudas, turtles and many other fish. My wife loves snorkeling and this was paradise. We just couldn’t get over the water color/clarity. We try to to make the lodging as special as the trip destination and this checked all our boxes for being a truly unique stay. It met all my expectations. Very peaceful, private aquarium, wonderful people and experience. The house has a fantastic view and wonderful sunsets. Its very lovely to sit on the deck, and the ocean access is great. We loved snorkeling off the steps. We saw sea turtles of the deck several times. We found the furnishings to be a bit tired and the bed is really just a futon. Bahama Sunset is a great rental home for a couple, Outstanding view, Great location! My wife and I were looking for a rental house on the water with a great view of the Sunset and that's exactly what we found in Bahama Sunset. The sunsets were breath taking. Situated on a bluff with a staircase and ladder to the water, it's like your own aquarium. The ladder goes all the way to the bottom so the water is accessible no matter the tide. We saw many different fish, turtles, and even a huge devil ray. The snorkeling is great right there in your front yard. The house has everything you need, be sure to look through the book case on arrival. There are some great books on the beaches of Eleuthera, including directions and maps. The charcoal BBQ grill has the best view any grill master could ask for. You will need to stock up on supplies after you arrive, toiletries, food, and alcohol can all be found in near by Gregory Town. We drove up to the North Eleuthera Shopping center, while there is a little bit larger selection of items, the prices aren't really any better than local. The 7 to11 in Gregory Town had most everything we needed and Mr. Bones liquor store had the rest. Rent the car from the owner, it gets you where you need to go and it is convenient to get once there. The beaches were Great! Lovers beach is a hidden gem. Not a great swimming beach, but the sand and waves are awesome. Gaulding Cay beach is a great swimming and snorkeling beach close by. If you goto Governor's Harbour, Club med beach is a great beach as well. Eating out can be pricey, but a few places are hard to pass up. Pizza night on Monday night at the Rainbow Inn with live music is a must do. (Brick oven pizza). Tippy's is a can't miss. On your way to Governor's Harbour, there's a great Bakery in James Cistern right along the Queen's hwy. It's worth the stop. The Queen's Bath, glass window bridge, and preacher's cave are also great to see. Eleuthera is a laid back island. If you want all the modern amenities and fancy grocery stores, it's probably not for you. 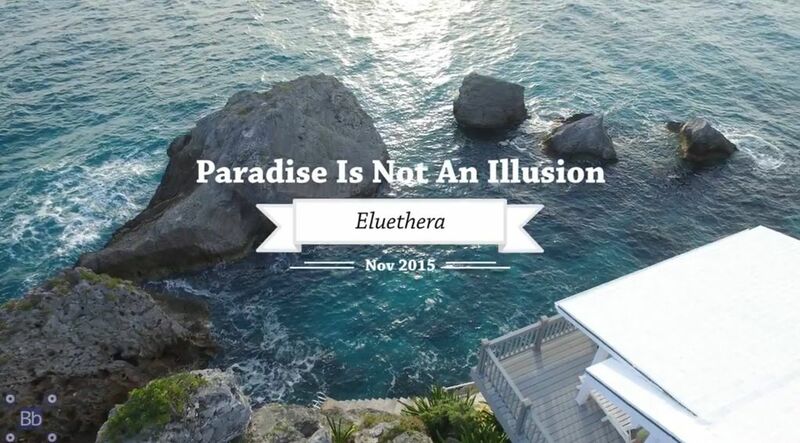 If you want to relax in a very friendly environment with great secluded beaches, Eleuthera is for you. And if you want to wake up to your own aquarium with a great sunset view in the evening, Bahama Sunset is the house for you! Cool weather and opened house for fresh air heaven, air shut off. We have stayed here prior and enjoyed Scott's vehicle this go around and flawless experience. Love the view and accommodations. Tientallen prachtige afgelegen stranden te verkennen. Gasten hebben gemeld de beste snorkelen is direct bij het huis ... Gregory Town is een klein gezellig dorpje gelegen op 1 mijl ten noorden.